A rare first! 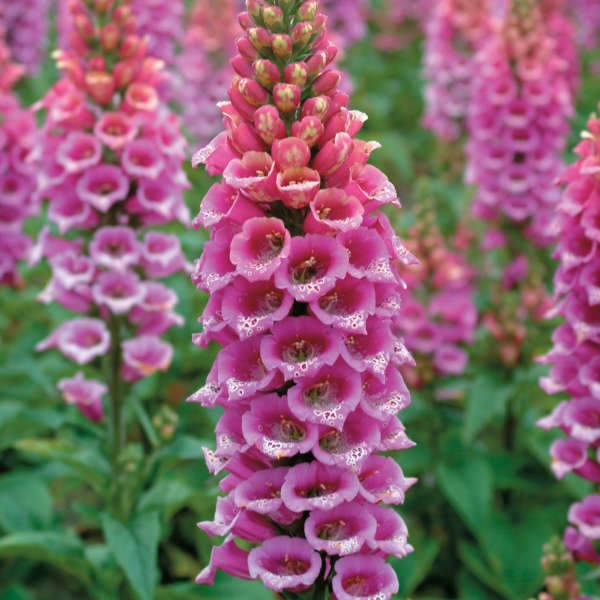 'Candy Mountain' is the first foxglove ever to have upward-facing flowers instead of the usual downward-facing ones. With this new angle, viewers can easily see the beautifully speckled throats of these rose pink blossoms. They are produced on very strong, strictly upright stems in early summer. 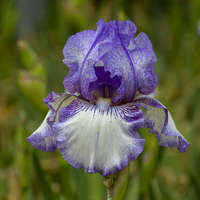 This variety is a biennial. 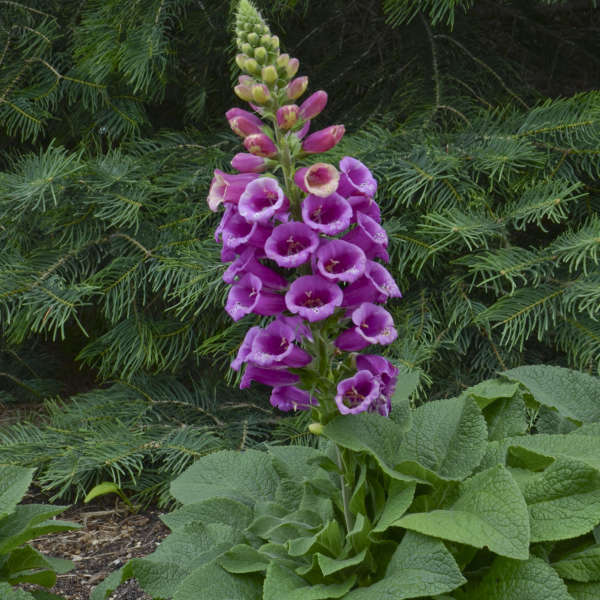 Foxglove prefers acidic, moist, well-drained soil that is enriched with humus. 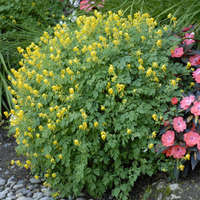 Keeping this plant watered will result in better flowering and healthier foliage. 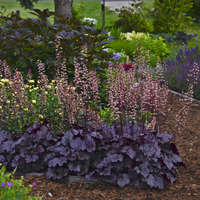 In most climates, partial shade is best, though it will grow in full sun in northern regions. Propagation is recommended by letting the plant self-seed and using the resulting plantlets. 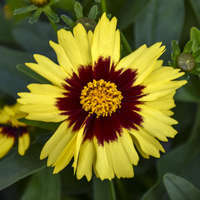 It may also be grown from seed, but will take 2 years to flower. 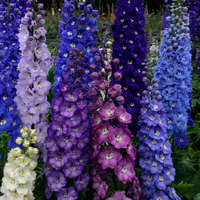 The name Digitalis is latin for "finger of a glove", which refers to the shape of the flowers. 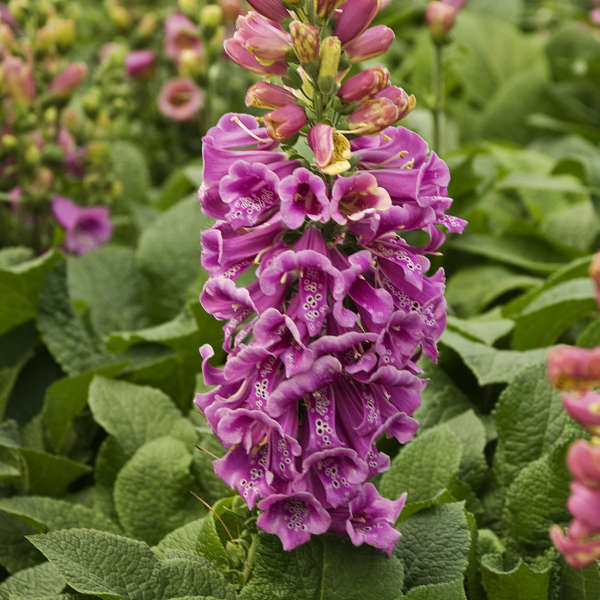 This is an important medicinal plant; the powerful drug digitalin is derived from it, which is used as a heart stimulant to treat heart disease.